The drama picks up this week on the cliff-hanger it left us with in episode 1, the world now knows the president (Lynda Carter) is actually an alien. As a viewer we have known this for some time, but as the angry scenes outside the white house show us, the American public are not happy about the revelation. Supergirl arrives to try and convince the president from resigning and assure her that she will catch Mercy Graves and stop the hatred she is sparking across the country. The scenes outside the White House take a quick turn for the worse from 1 protestor proclaiming “peace and equality” to the next second a mass riot breaking out. For me, this sudden outbreak of violence seemed a little rushed just to allow Supergirl to arrive and save the day, delivering that beacon of hope message. With each episode being 40 minutes long I guess things need to progress quickly to keep the story moving. Tension is rising back at the DEO between the staff following the news of the president being an alien and Alex (Chyler Leigh) has to intervene, further strengthening her new position as director. Alex then learns from Otis Graves (Robert Baker) they are working with someone else sending Kara of investigating her background at L Corp with her close friend Lena Luthor (Katie McGrath). J’onn J’onzz (David Harewood) is trying to track down Fiona who hasn’t turned up to work for 3 days and this brings him back to the DEO. We know from episode 1 she has been captured by Agent Liberty for some reason meaning we have Supergirl, the DEO and J’onn all looking for the same person. The question we need to know is who will find him first or will they combine forces and work together like the good old days? If you’re a fan of the silver age of comics then there is a great scene where two Legion members meet for the first time where Brainy and Nia Nal stumble into each other in a pizza shop. Brainy senses a connection with Nia and we see what I believe will be the start of some form of relationship between the two. Nia then has a real emotional exchange with James Olsen (Mehcad Brooks) as we learn Nia is a transgender woman and she understands how aliens feel having spent her life on the outside and being rejected for who she is. As we have witnessed with all the Arrowverse shows is that they are not afraid to raise and discuss important real life issues regarding race and sexuality and now gender. With Greg Berlanti an openly proud gay man behind all these shows it was never a surprise to hear it would be one of his shows that in the mainstream tackled the subject of transgender. We see in the media the ongoing problems the LGBT community faces with regards to acceptance and the extreme levels of hate some people will go to, so let’s hope this show helps even by just raising people’s awareness to the problems people face. Mercy Graves comes to L Corp and the building goes on lockdown as Kara is trapped with Lena meaning she is unable to be Supergirl. This gives us the funniest moment of the episode as Kara keeps saving the day and beating down armed guards using her powers as Kara and hiding it from Lena, blaming her allergies for being able to knock out a group of guards with her super breath. 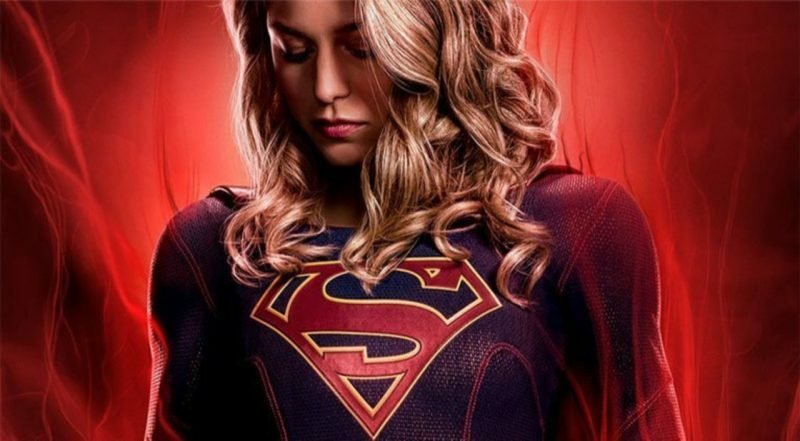 A Lex suit battle between Lena and Mercy give Kara the distraction she needs to slip away and return as Supergirl to save the day just in time. With the Graves siblings now locked up at the DEO things seem to be going well for team Supergirl, or was getting locked up always part of the Graves plan? It’s not till the end that we finally get some screen time with Agent Liberty (Sam Witwer) and what a moment it was. Hosting a meeting reminiscent of a KKK style rally we see Agent Liberty on a stage pumping up the crowd and fuelling their hatred towards aliens and “Putting Earth First”. We haven’t seen behind the mask of Agent Liberty but I must say that Sam Witwer’s voice and delivery is a fantastic casting choice for the show. His calm but fierce delivery in this scene reminded me of Hugo Weaving in V for Vendetta, you don’t need to see his face or see his expressions as you get every piece of it through his excellent delivery.